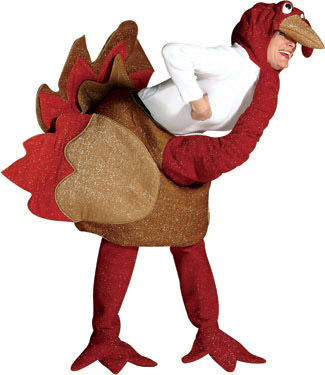 Adult One Size Turkey Costume with Legs. CHA! CHA! CHA!... 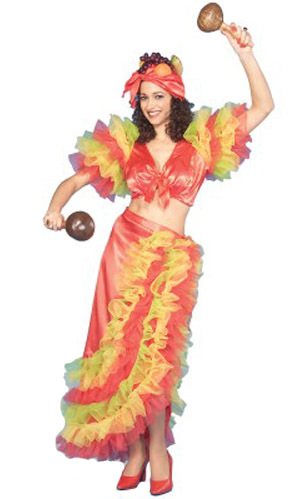 COSTUME CONSISTS OF TOP, SKIRT AND HEADPIECE. THIS IS THE SUIT TO BUY IF YOU PLAN ON MANY YEARS OF USE. MADE OF DELUXE COLORFAST CORDOUROY WITH RICH FAUX FUR TRIM. 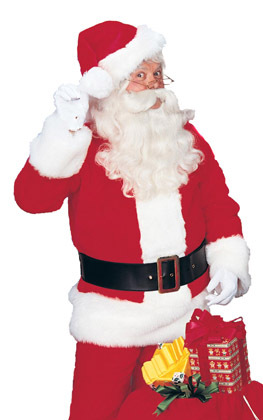 COSTUME INCLUDES: JACKET WITH FRONT ZIPPER CLOSURE AND BELT LOOPS, PANTS WITH SIDE POCKETS, BELT AND BOOT TOPS.